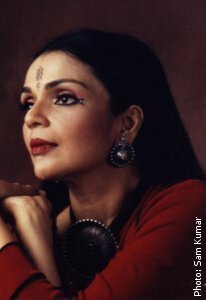 Anita Ratnam has trained in Bharatanatyam under Gurus Adyar K Lakshman, S Sarada and Sarada Hoffman (Kalakshetra). Rajee Narayan was her first guru. 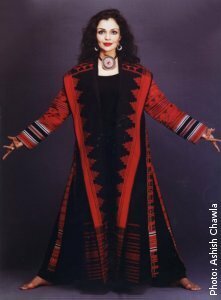 She holds a Post Graduate Diploma in Dance from Kalakshetra. Her training in Mohiniattam was under Trichur P Ramanathan (Chennai) and Chinna Ammu Ammal (Kerala). Always open to new approaches, Anita Ratnam has enjoyed working in cross-disciplinary theatre productions. Her many interests have also taken her into the realm of television and cinema. Anita practices calisthenics, yoga and Tai Chi for additional strength and flexibility. Founded by Anita Ratnam in 1992, Arangham Trust is a cultural foundation that seeks to explore, enrich and promote the performing and visual arts of India and to contemporize the rich tapestry of Indian creativity for modern audiences. Through collaborations, workshops, seminars and cultural outreach activities, numerous talented but lesser-known artistes have found a voice and a platform. Arangham has begun pioneering work in reviving Kaisiki Natakam, a tenth century performance art unique to temples in southern Tamilnadu. 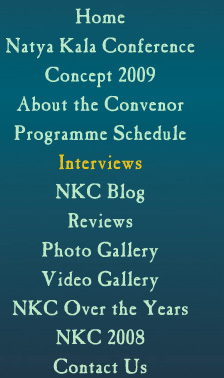 Her brainchild www.narthaki.com founded in 2000, is a popular Indian dance portal that has become an essential guide and networking tool for the international dance community. In an interdependent world, you have shown over the years the strength in collaborations. Tell us 5 points why it is so important? What is MA3KA? Do share your journey with us? Originally, it was an innovative retelling of the traditional Goddess triad.. Durga, Lakshmi, Saraswati. With events in my life over the last year impacting my creative arc, I have devolved Matrika from the divine to the mortal in all of us. Hence, Ma3Ka. How do you always look so stunning? My secret is swimming in untested "shark infested" waters!!!!!!. What do you think of the Natya Kala conference?As a yester year convenor, what do you expect for this year's conference? As a chennaite, tell us a couple of great places to hangout in and eat? Besides Amethyst and Chamiers, do not miss Kipling on East Coast Road and the rooftop at the Raintree Hotel on St Mary's Road for a great bottle of wine!.